Heavy Rain was a gamble for Sony, and one that ultimately paid off - Quantic Dream's interactive murder mystery made around $100 million (about £64m, AU$108m). 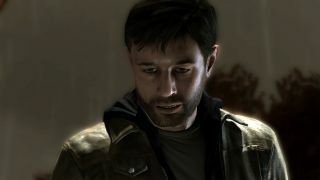 Turns out the PS3 exclusive could have been published by Microsoft on Xbox 360 - Heavy Rain's predecessor, Fahrenheit, appeared on Xbox as well as PS2, after all - but Microsoft didn't want it. "We had a very long talk and they loved Fahrenheit, and they really wanted to do something with us," Quantic Dream head David Cage said at a BAFTA games lecture this week. "They got scared by the fact that Heavy Rain was about kids being kidnapped, and they said, 'This is an issue, we want to change it.' Well, we could have kidnapped cats, it would be a different experience!" Cage reportedly insisted Microsoft is a "great company," but said this was a signal they couldn't work together, since "they were scared of the scandal and scared of what people may write and what people may think." Check out more blips - if you're not scared that is.